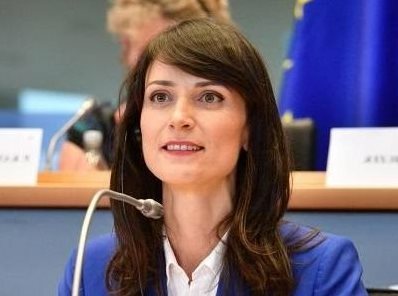 With the new Multianual Financial Framework (MFF), Digital Innovation Hubs will be 'one-stop shops' for small and medium-sized enterprises and public administrations, providing access to technological expertise and experimentation facilities, as well as advice to better assess the business case of digital transformation projects. A network of Digital Innovation Hubs will be supported, ensuring the widest geographical coverage across Europe. Digital Innovation Hubs are today one of the key elements of the Digitising European Industry strategy. "The Digital Single Market provides the legal framework to ensure people and companies fully benefit from the digital transformation. 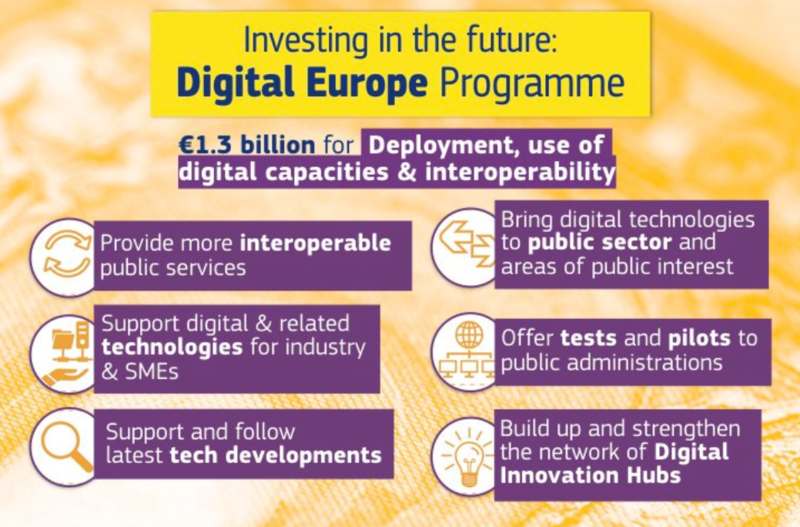 Our aim has been to make the EU budget fit for future challenges: digital transformation is taken into account across all proposals, from transport, energy and agriculture to healthcare and culture. 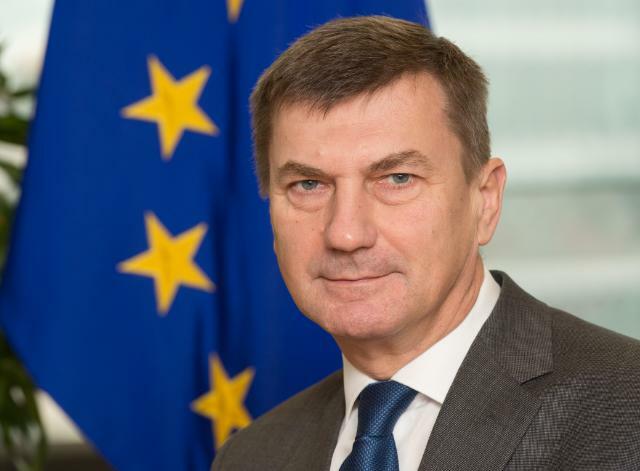 To reinforce this, today we are proposing more investment in artificial intelligence, supercomputing, cybersecurity, skills and eGovernment – all identified by EU leaders as the key areas for the future competitiveness of the EU." "Having the first pan-European digital programme is a major step for strengthening Europe's world leadership in the digital transformation. 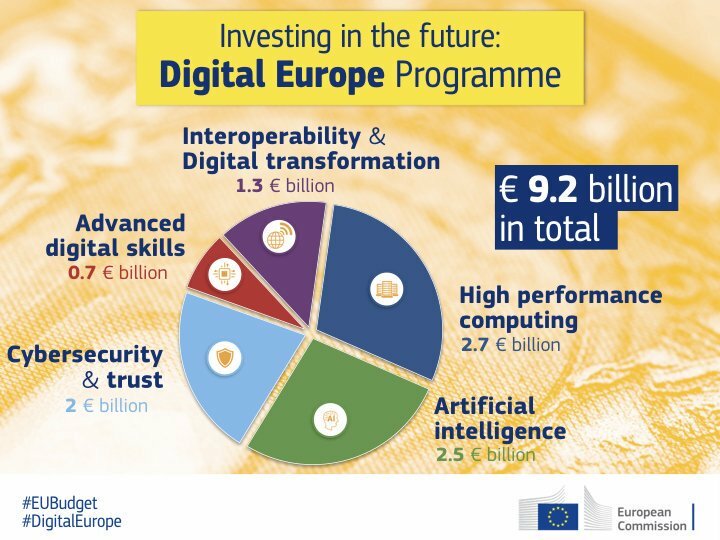 We will invest in key strategic digital capacities, such as artificial intelligence, high performance computing and cybersecurity, and, as is the case with all our digital initiatives, European citizens will stay at the heart of this programme. One of the main pillars of the programme is investment in our citizens to acquire the advanced digital skills they need for accessing and using the latest digital technologies."